Today is moving day at the BMW Championship! All eyes are on the top players as they slug it out for the top spot. Most of the media focus for Saturday will be on Jason Day, Jordan Spieth, Rory McIlroy and Phil Mickelson (ok I threw Phil in because I always watch his progress). And why not, these are the leading contenders for the FedExCup championship! But, little focus is actually on the tournament within a tournament! The race for the top 30, in order to advance to the Tour Championship, is just as heated as for the top spot. There is much riding on advancing to the next stage of the playoffs and right now, 10 players are in a battle to improve their position in the FedExCup standings. 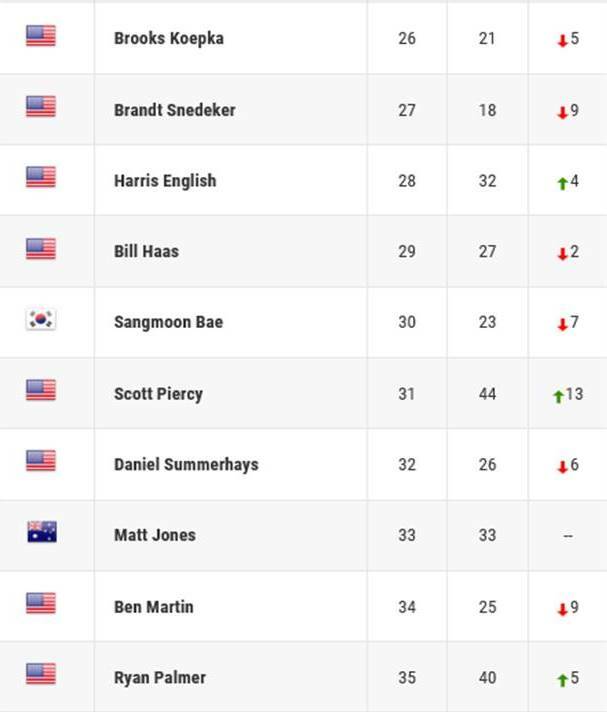 The list below is of the current FedExCup standings of positions between 26 and 35. The first number is the predicted position if nothing chances between now and the end of the tournament. The second number is their current standing within the FedExCup. And the last number is the movement up or down the standings at the end of the tournament if nothing changes. These players are all within striking distance of fall out and making their way to East Lake GC in Atlanta, GA. I would suggest that these players have just as much, if not more, pressure on them to succeed than the top players! The payoff for moving on to the Tour Championship is tremendous and none of these professionals want to left out in the cold. There are two tremendous battles going on at the BMW Championship! The battle for the top spot and the battle to make it into the top 30! Which do you prefer? Any predictions?